Are you looking for your next SUV? You won’t have to wait much longer, as the 2019 Dodge Durango release date is almost here! We know you’ve been patient for the 2019 Durango, a new Dodge SUV that has been carefully engineered -- from the drawing board to the factory line. The 2019 Durango redesign includes updates to its capability and comfort, along with its performance, so you can drive down the highways and byways of Lancaster behind the wheel of an SUV capable of traversing any terrain. Visit our Dodge dealer in Lititz, PA, for more information on the 2019 Durango configurations. New to this year, the 2019 Dodge Durango specs include an integrated trailer brake when equipped with the available Trailer Tow Package. Taking those heavy payloads across Pennsylvania will be easier than ever with the new Durango, as the 2019 Durango SRT trim boasts a best-in-class towing capability of 8,700 pounds. In fact, even if you stick with the standard 3.6-liter Pentastar V6 engine that can yield 293 horsepower, you’ll still be able to tow a best-in-class 6,200 pounds. Want more power? You can upgrade Dodge Durango trims to include an available 5.7-liter HEMI® V8 engine for powerful torque response and towing capacity. Plus, the 2019 Dodge Durango has three available all-wheel drive systems to choose from, giving you the traction and control that you crave. Whether you’re piling the whole family in for a trip across Lancaster County or running errands on your own, you’ll want to get in the driver’s seat of the 2019 Dodge Durango. 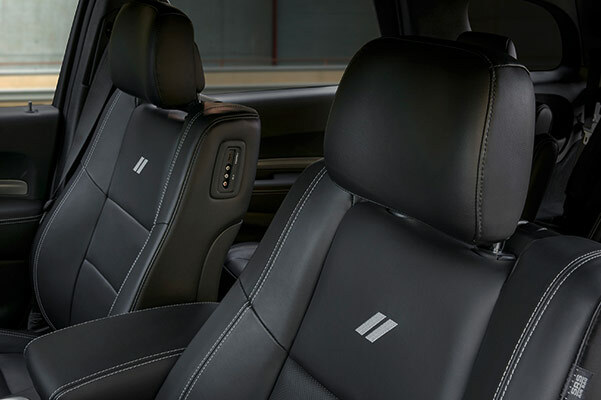 The 2019 Durango interior has space for up to five passengers, with an option to upgrade to six or seven passengers with certain Durango trims. 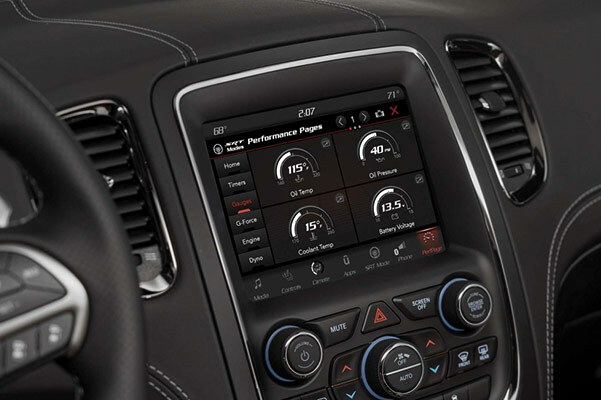 Your family will always be entertained in the 2019 Durango with its advanced Uconnect infotainment system with available 8.4-inch touchscreen and standard Apple CarPlayTM and Android AutoTM capabilities. 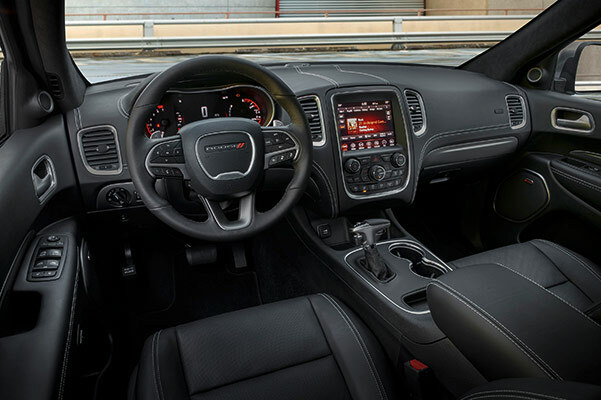 Opt for the 2019 Durango Citadel or R/T and you could experience the available 19-speaker, 825-watt Harman KardonTM audio system that’s designed for optimum sound quality. And because Dodge has the safety of your family in its best interests, the new 2019 Durango boasts more than 60 available safety and security features, including optional Blind-Spot Monitoring with Rear Cross Path Detection. Want to preorder the new 2019 Dodge Durango? Come discuss the 2019 Durango price, configurations and specs with our Dodge sales experts. Contact Keller Bros. Dodge Ram today to find out when you can schedule a 2019 Dodge Durango test-drive.